Well the lazy days of August are here and so is the next Proyecto Latina Reading Series! Our feature this month will be teatrista and cultural activist Natalie Marlena Goodnow. She is coming all the way from Austin, Texas to share her work with us. 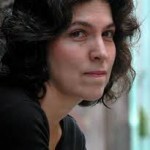 Natalie is the winner of the 2011 Jane Chambers Playwriting Contest. Natalie will be performing an excerpt from her solo play of Mud Offerings about a Chicanita that has it out with the Virgen de Guadalupe unraveling the culturally complicated truths, lies and mythologies of women’s spirituality and sexuality in contexts of violence and betrayal. Natalie Marlena Goodnow is a nationally recognized teatrista, teaching artist, and cultural activist from Austin, Texas. She writes, performs, and directs; she’s been practicing some combination of those forms for seventeen years, and started teaching about and through them 8 years ago. She specializes in the creation of original works for the stage, as a solo performer and in collaboration with other performers and playwrights, both youth and adults. Goodnow’s work is dialogical in both its process and product, using performance as a tool with which to engage communities in conversation. Natalie explores the relationships between people and places, in terms of relationships to community, to the Earth, and to our own bodies. 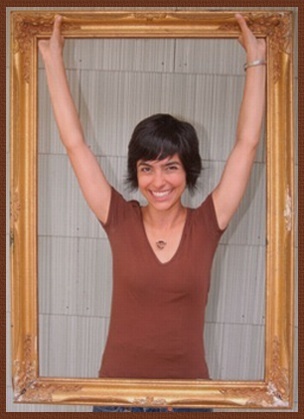 Natalie is an Artistic Associate of Theatre Action Project and a member of The Austin Project. Sandra A. Treviño is the first guest curator for Proyecto Latina this Mon, Aug 16th. We are putting a twist on our August 16th edition of Proyecto Latina and welcoming our first guest curator. 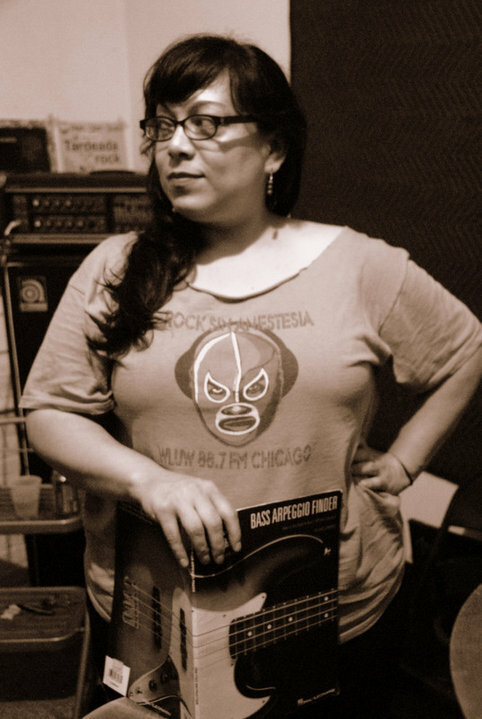 Sandra Treviño–an authority on Chicago’s Latin Alternative music scene for over ten years–has hand-picked three emerging Latina musicians she wants to see spotlighted–there will be live music and a q&a. As always, the chisme box will be there and the open-mic list will only have four spots, so arrive early to sign-up. Sandra A. Treviño began her career on the business side of music as the band manager for local rock band [.DESCARGA.]. The underground concerts she attended inspired her to begin writing and reporting on new music releases and interviewing local bands, her coverage eventually included the movement of Latin Alternative music across the US, as well as dishing out the glam and not-so-glamorous side of music and entertainment. 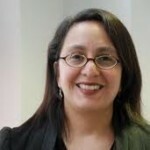 She is the co-founder of Enchufate.com, Chicago’s first Latin Alternative media and entertainment portal. A site that began as a follow-up to E>N>E (Errores No Eliminados), a television program that focused on Chicago’s independent music movement, specifically rock en español–via interviews, reviews and event promotions, Enchufate reported on local bands as well as international acts including Cafe Tacuba, Aterciopelados, and Calle 13. Sandra’s repertoire also includes concert organizing, spinning as DJ Angelfuk and she hosts the radio segment, “Sandra’s Seven in Seven” on Vocalo.org’s radio stream on 89.5FM. She is currently working on her first book, Music & More, in collaboration with the upcoming documentary, REC: Rock En Español. Sandra has contributed to the Chicago Sun-Times, Chicago Tribune, Illinois Entertainer, Extra Newspaper, Red Eye, Metromix, LATV, Contratiempo, Cafe & Mas Magazine and most of Chicago’s independent radio programs. She is the Midwest representative for Nacional Records, the country’s first Latin Alternative boutique music label. Presently, Sandra uses television and radio journalism to spotlight the amazing world of Latin Alternative music and especially of Latinas working in the scene. Her focus continues to be music production and the growth of women in music through Enchufate, writing and social networking. In her spare time Sandra pretends to sleep. This week our reading series was packed over at Café Catedral. Folks got to see our feature writer Cristina Correa read her work and hear some new emerging Latina talent during the open mic portion like Awilda Gonzalez and Laura Nuñez. Later during the week, I had the opportunity to see Aguijón Theater perform Soldaderas at the Goodman Theatre. The play is based on texts by Elena Poniatowska and performed in Spanish. Yesterday, my ten-minute play THIRST was performed by Josie Dykas, Claudie Martinez and Diane Herrera and directed by Nilsa Reyna at Teatro Luna’s first 10×10 play festival. These ladies spent hours in the sweltering heat with no a/c rehearsing and one of them even came as far away as Elgin. Mil gracias! With all of these things in mind I encourage all of you to continue to keep creating and making sure you find an outlet to tell your story. In August we will be hosting Sandra Treviño, guest curator for Proyecto Latina, she is lining up some musical features that will be performing at Café Catedral. Also, coming up the pipeline in September is Adelita Pata de Perro by Jenny Priego at the lovely Carlos & Dominguez Fine Arts Gallery in the Pilsen neighborhood. Check back for more details this week! Felicidades to Carmen Giménez Smith her memoir Bring Down The Little Birds is coming out on August 5. The book asks, “How does a contemporary woman with a career as a poet, professor, and editor experience motherhood with one small child, another soon to be born, and her own mother suddenly diagnosed with a brain tumor and Alzheimer’s? Sounds like a good end of summer read! Preview an excerpt. While the Latina population continues to rise our visibility in mainstream media is pretty slim. A perfect example of this is the new CBS daily talk show that’s being lined up. The six hosts include: Julie Chen (CBS Morning Anchor), Holly Robinson-Peate (actress), Sara Gilbert (actress), Marissa Jaret Winokur (actress), Leah Remini (Actress) and Sharon Osbourne (Reality Star, Wife of Rocker). Why are there no Latinas on this daily talk show? I’m sure there is a Latina that is more than qualified to do this job. Drop the folks at CBS a line and ask them why there are no Latinas on the show? Last week Diana lamented that summer is passing her by much too quickly. I’m glad to report that she’s managing to get some fun into her schedule. I got to catch up with her yesterday when she invited me to join her for the Goodman’s Latino Theater Festival’s reading of El Nogalar by Tanya Saracho. Afterward we strolled down to Millenium Park and enjoyed a beautiful summer afternoon sipping cocktails and people watching. We caught up with our perspective projects and I realized that our crew of women is a busy bunch this summer. Thelma Uranga and me are instructing Tejer y Poder, a knit and crochet class that is an After School Matters program at Pros Arts Studio. Thelma recently received a plug in a round-up article about Radical Art and Yarn in Chicago Art Magazine. Coya Paz is gearing up to host a preview of her next show-in-progress: The Americans. Diana Pando is putting the finishing touches on her first 10 minute play, Thirst, which is part of Teatro Luna’s, 10×10 play festival. 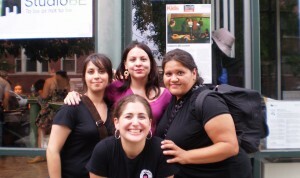 We are also super excited about Proyecto Latina tomorrow. 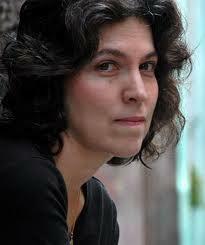 Our feature is writer Cristina Correa, who will share flash fiction and maybe something more with us. 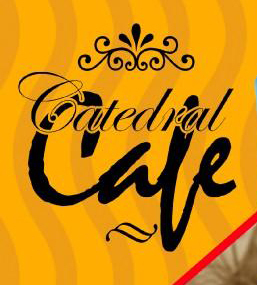 We’re returning to the lovely Cafe Catedral in Little Village. I’ve got a little something new to share, so bring something with you and join me for the open mic, and we’re hoping that the Chisme Box will break last month’s record. Humor me, I know that there are much more serious things going on in the world but the news about Penelope Cruz and Javier Bardem did incite an awww, how sweet reaction when I first read about it this week. Alla is part of the lineup at the Pitchfork Music Festival this weekend and I’m also super excited that one of my favorite bands is getting covered by Cafe and the Chicago Tribune. A huge misunderstanding for educator and director Lisa Portes–juggling groceries, her children and a phone call to her husband, she inadvertently walked out of a Whole Foods without paying for an item. Whole Foods is responding with a strict policy that will not allow her to return. I can’t help but wonder what creative response an incident like this may inspire in an artist. Another story to raise eyebrows is the decision to credit the murders of hundreds of women and girls in Ciudad Juarez as the inspiration for a new fashion line. Jezebel breaks it down here. Finally, in an interview about the production of her play Real Women Have Curves, Josefina Lopez says, “If nobody hears your voice, you better shout louder.” She got more words of wisdom and she talks about a new play in progress inspired by Arizona happenings that she drafted in two days. That’s all for now, have a wonderful week!